See the red? It’s a Telemundo thing! 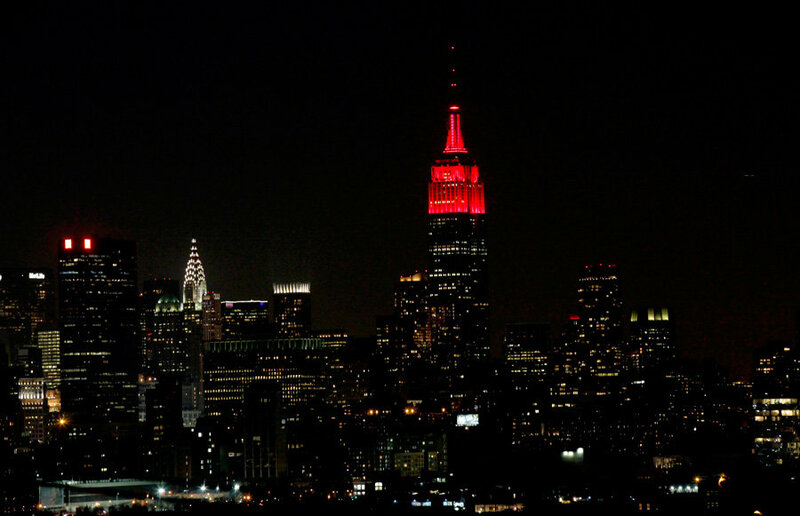 If you still don’t believe me when I say Spanish-speakers rule New York, you might want to keep an eye on the Empire State building this coming Sunday, April 26, when it is set to go totally red in celebration of Telemundo 47 New York’s 50 year anniversary. Yes, and it’s not a joke, my friends. This entry was posted in Awkard homages, Cinco de Mayo, Latin celebrities, Marketing & Advertising, New York City, Spanish, Stupid propositions, Telemundo, Television and tagged Empire State building, Hispanics in New York, NBC, NBCU, New York City, Telemundo. Bookmark the permalink.